The disappearance of a loved one is one of the worst evils that someone can suffer. It isn’t just the uncertainty that it provokes. It’s wondering every day if it won’t be happening to him what happened to many that have appeared, whose cadavers showed signs of savage and atrocious torture before being murdered. How to avoid desperation? How to confront serenely the mystery of evil, this overwhelming evil that pursues us? In the last two years in Mexico one person disappears every two hours. Every two hours! We now have tens of thousands of families in that drama. There are many others whose loved ones were savagely murdered and millions of displaced. One third of the population has felt obliged to live outside of the country. The family members of the Ayotzinapa students have permitted us to live together with them the drama that is profoundly moving and to experience at their side a form of response that isn’t sunk in desperation. They woke up millions, inside and outside the country. With surprising spirits, with as much courage as imagination, they don’t leave anyone at peace. They don’t want those that were asleep to go back to sleep, to return to indifference, to occupy oblivion, or those above to wash their hands. Even the United Nations, with its hands and tongue tied by the structure and rules that define the organism, has had to react. The UN Committee against Enforced Disappearances not only just recognized formally that state of things. It has also criticized the Mexican government for the impunity that prevails in the face of those daily crimes and for not attributing the priority that is required to the search for the disappeared. It required investigating “all the state agents and organs that could have been involved, as well as exhausting all the lines of investigation.” The committee formulated a recommendation crucial to remembering the responsibility of the high commanders of those that commit the crimes. A combination of blindness and cynicism persists in those who occupy the business of governing and in their friends and accomplices. Indifference, apathy or fear also persists in many people. Likewise, fervent adhesion to some charismatic leader and his cohorts persists, on the part of those that still believe that he could stop the horror first, and later follow the progressive path of other Latin American leaders. Although the discontent is more general all the time, even among the sponsors and beneficiaries of the current government, many don’t know what to do, others don’t consider the paths that don’t pass through the electoral exercise realistic, and still others are disposed to changing everything… so that nothing changes: may all those responsible for our drama be replaced; may they present sharp blows to the leaders and may there be a great clamor, but all that inside of the framework in effect, within the nation-State, representative democracy, the economic society, development, capitalism… They believe that it’s too illusory or dangerous to attempt anything else. At the same time, the citizen mobilization expands and gathers strength and organic form. On February 5 two parallel initiatives got underway that on the path will be able to interlace for diverse longings. The agreement in their diagnosis of the current political crisis is impressive, although important differences are appreciated in the reaches and styles of their proposals. The two illustrate, each in its own way, the desire and capacity of giving organic form to the generalized discontent, to the resistance, to rebellion and to a transforming impetus. Instead of paralysis and desperation, the national drama is generating lucid brave and organized reactions. One more of those initiatives will take form today, upon a multifaceted commission of university students, activists and members of the National Indigenous Congress being in installed in Cuernavaca. It proposes contributing to dialogue and agreement among the diverse cultures that we are. Its members are convinced that there will be no justice, peace and security in the country while the social order is not constructed on diversity. It’s about giving concrete meaning and efficacy to the idea that the Zapatistas formulated 20 years ago: we must construct a world in which many world fit. The current effervescence has already permeated all social layers and even reaches the most isolated corners of the country. Our demons were let loose a long time ago and created this unsupportable state of things in which we are submerged. Now, the forces that will be able to conquer them have been set in motion, by serenely advancing in the national reconstruction. The genie escaped from the bottle and it will not be possible to put it back in. Thus, the hope of giving full reality to our emancipation is nourished every day. *We think that it is necessary for one of us to die so that Galeano lives. To satisfy the impertinence that is death, in place of Galeano we put another name, so that Galeano lives and death takes not a life but just a name – a few letters empty of any meaning, without their own history or life. That is why we have decided that Marcos ceases to exist today. And death will go away, fooled by an indigenous man whose nom de guerre was Galeano, and those rocks that have been placed on his tomb will once again walk and teach whoever will listen the most basic tenet of Zapatismo: that is, don’t sell out, don’t give in and don’t give up. Given the above, at 2:08am on May 25, 2014, from the southeast combat front of the EZLN, I hereby declare that he who is known as Subcomandante Insurgente Marcos, self-proclaimed “Subcomandante of stainless steel,” ceases to exist. 2014 has been a turning point year for Mexico and the U.S.
We are asking you to join us in building grassroots support and solidarity with the Zapatista communities. Please make a generous donation to directly support the Zapatista efforts in constructing autonomy. Why? 2014 was the 20th anniversary of the EZLN-led indigenous uprising in Chiapas. The Zapatistas began marking this momentous anniversary launching “La Escuelita Zapatista,” the Little Schools of Freedom according to the Zapatistas, in 2013, where they invited community leaders, youth, elders, women, children and even world-class intellectuals to learn from them how they organized their revolution. To us, the Zapatistas are synonymous with hope. How do we persist and build our own resistances in the long struggle for justice across borders? The Zapatista communities have shared their own experiences and consistently organized spaces for international dialogue to build connections and movements against neoliberalism, war and racism and for humanity and a different way of being together. With love, pain and rage the Zapatistas laid the body of Compañero Galeano to rest while at the same time ensuring that his name and spirit would live on. The person we had known as Subcomandante Marcos for a little more than 20 years died symbolically and resurrected as Subcomandante Galeano so that the memory of the brutally murdered compañero would live on. 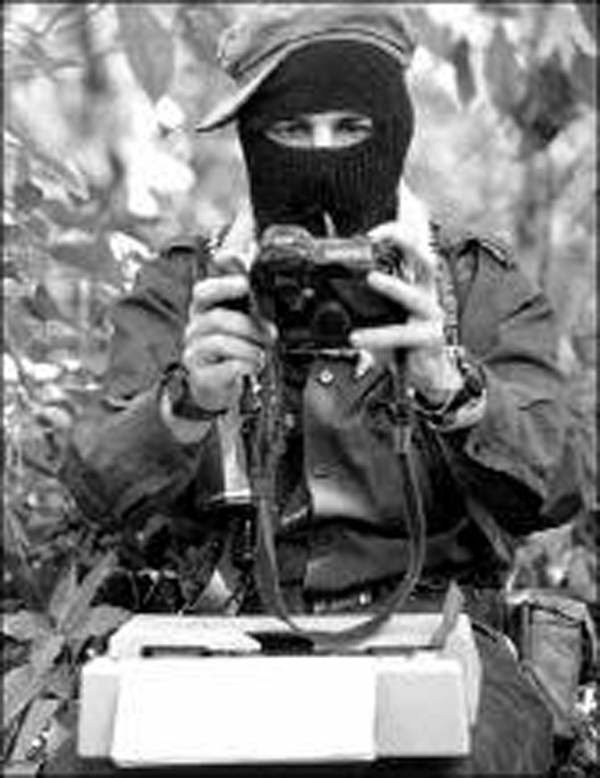 Although it had been coming gradually, the May 2 murder of Compañero Galeano in La Realidad provided the stepping stone for a transition to Indigenous leadership of the EZLN in the person of Subcomandante Moisés, a natural and foreseen transition despite what the corporate press may have said. The Zapatistas consider that transition and symbolism to be of such importance that they questioned two members of the Chiapas Support Committee (CSC) about our understanding of it during our visit in September and were pleased that we paid no attention to the interpretations of the corporate (“for pay”) media, but rather the direct word of the EZLN. Originally intended to be a brief visit to clarify an education project in the region of La Garrucha, the purpose of our visit expanded when we received the news about the attacks and forced displacements in San Manuel municipio (county), with which the CSC has had a close relationship since 2002. After clarifying the education project with regional education coordinators, attention turned to the more than 70 Zapatistas displaced from their homes in 3 San Manuel communities. The Good Government Junta gave us permission to visit San Manuel. We travelled to San Manuel and met with the autonomous municipal council, the health care promoters, warehouse workers and education promoters (teachers). We learned that the displaced families lost everything when they fled to save their lives and avoid a massacre. The autonomous council stated that the government paid the paramilitaries to attack and displace the three communities, just as the EZLN’s investigation revealed regarding the murder of Galeano. 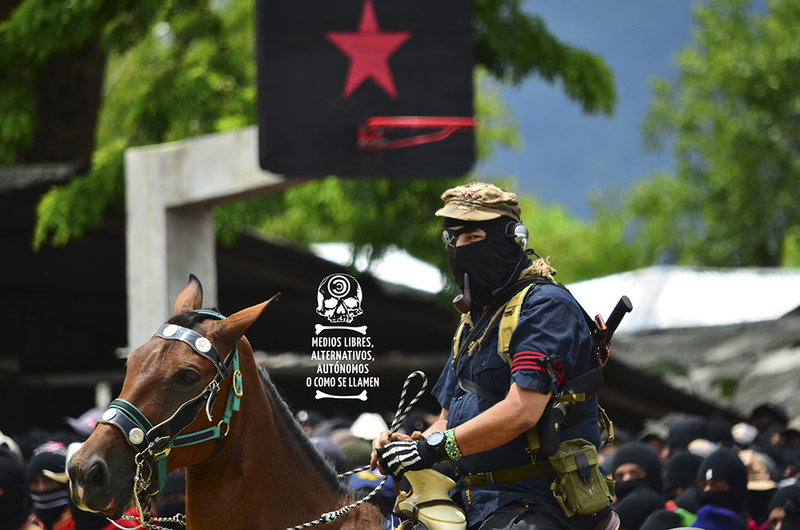 According to Subcomandante Moisés, San Manuel was attacked in retaliation for the Exchange (Sharing) between the National Indigenous Congress (CNI) and the EZLN, just like Compañero Galeano was murdered in retaliation for the very successful Little Zapatista Schools during 2013 and at the start of 2014. The government’s message: You’re going to pay a price for organizing! Despite the Mexican government’s counterinsurgency and severe repression, we also have some good news to report from San Manuel. The municipio and its more than 40 communities remain together, well managed and in resistance. Autonomous authorities specifically stated that the projects the CSC constructed with them continue to thrive, thereby enabling the municipio to function and succeed. This year we completed a three-year autonomous primary education project in the region of La Garrucha, which included the construction and or re-modelling of schools, continuing education for the teachers and teaching materials for both the education promoters and the students. We also provided emergency financial support to those displaced from the three Zapatista communities in San Manuel. While in La Garrucha the Junta told us about an education project that is currently being developed for the region: one or more secondary (middle) schools. In contrast to the other Caracoles, the La Garrucha region has no secondary school. The debate is whether to have one secondary school for the entire region or one in each autonomous municipio. Whatever the region’s decision may be the Chiapas Support Committee is committed to supporting the secondary school project. We need your help to do that. Please join us and give a generous donation that will go in its entirety to help the Zapatistas build schools and autonomy! Los 43: They were taken alive! We want them back alive! Compañero Galeano’s murder marked the opening of a new wave of political repression and killings carried out in collusion between Mexican government forces and narco-drug cartels and paramilitaries. Mexican youth bore the brunt of the carnage left by organized crime and drug trafficking gangs in various states of Mexico. Local police and politicians with organized crime have been responsible for the extrajudicial executions of 22 arrested and disarmed youths by Mexican Army soldiers in Tlatlaya (June) and, finally, the unspeakable crime committed against students of the Ayotzinapa Teachers College that resulted in six dead and 43 forcibly disappeared –a crime against humanity– still not clarified (since September). 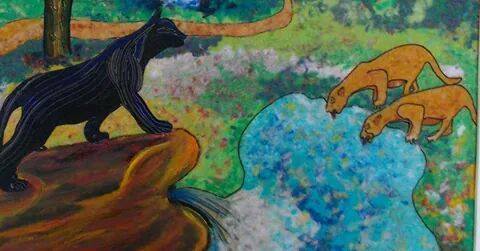 The Chiapas Support Committee continues to translate and publish educational information about Mexico and the Zapatistas through our various social media outlets. This year we met with students that attended the Little Zapatista Schools (Escuelitas Zapatistas). We worked with other collectives to organize a successful demonstration at the Mexican Consulate following Compañero Galeano’s murder. Afterwards, we participated in forming a Zapatista urgent response network in order to have a larger and more coordinated response to any future attacks against the Zapatistas. Our challenge in the coming year is to extend that coordination beyond emergency response. 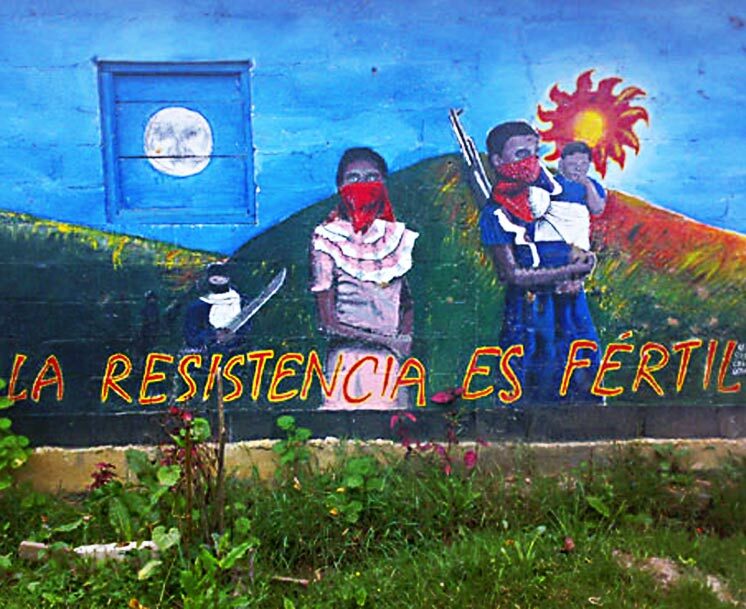 As the Chiapas Support Committee enters its 16th year and the EZLN turns 21, we are asking you to make a generous donation so that we can continue strengthening our work in support of the Zapatista communities and their construction of autonomy, as well as to support our local organizing efforts. For your convenience, you can make your contribution online. Just go to our main website www.chiapas-support.org and click on the Donate button to make your contribution via PayPal. And, we are registered with Amazon Smile and The Network for Good. We thank you for your continued interest in and support for the peoples of Chiapas and assure you that your support makes a critical difference in the lives of many and that we and the Zapatista communities will thank you from the bottom of our hearts.